*Online Premiere* Struggling with New York City living, Dana Schapiro decides to say goodbye to a neighborhood she barely knows (and which barely knows her). 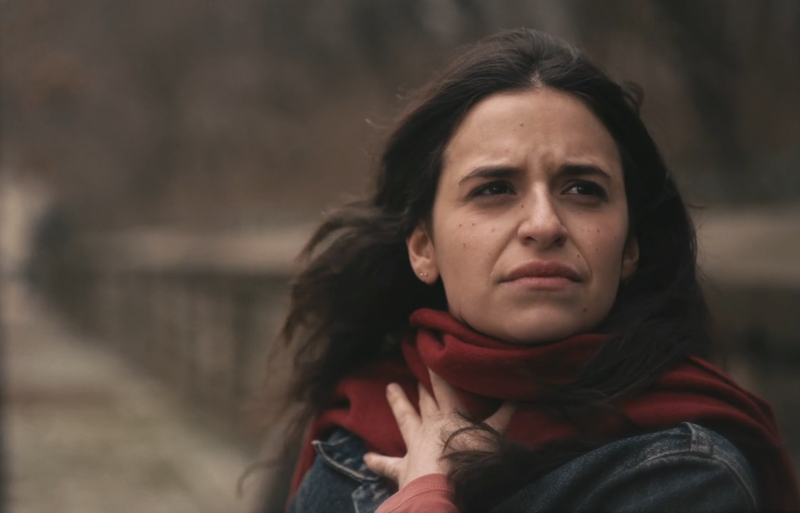 “Goodbye, Brooklyn,” directed by Daniel Jaffe is a hysterical ode to one-sided goodbyes, and the love/hate conundrum of NYC. It’s brilliantly executed as a tumbling stream-of-consciousness medley, centered around a movement workshop, where Dana instructs a group of students but also reckons with herself. (“Why do we move? What compels us?”). Doing her rounds of sentimental farewells, to her dry cleaners, favorite pizzeria, et al, we’re witness to the harsh realities of the city, the expectations, the anxiety, the hustle, the breaking points. Producer and co-writer, Michelle Uranowitz, is wonderfully kooky as Dana, a young woman desperate to hang onto her pride as she backs away from a city she loves but can’t afford. Characterized by a rollicking rhythm, the film quickly and hilariously encapsulates the whole spectrum of what it’s like to live here and leave here. (9 minutes). Directed by Daniel Jaffe. Written/Produced by Michelle Uranowitz & Daniel Jaffe. Starring Michelle Uranowitz. D.P. Adam Gundersheimer. Edited by Cecilia Delgado and Daniel Jaffe.